Sam vs. Lupus: Why I Choose to Fight. Why I Choose to Fight. Happy days, all is well. With the saints we shall dwell. I think I can say with certainty that every chronically ill patient thinks about the possibility of his or her (early) death. Many of us will live long lives, but, as various obituaries on Facebook and support forums remind us, many people with our condition(s) die at a young age. We rarely talk about it, but the possibility that our illness will win someday is always there, the elephant in the room. At times it seems like dying young is the easy option; it means you don't have to struggle with pain and disability for as many decades. And, as C.S. Lewis so cogently reminds us in his "Screwtape Letters," uncertainty about the future is often more of a trial than the certainty of future danger or risk. Not knowing whether an illness will become terminal is, in some ways, the hardest part of being ill. Maybe it's just me and my Type A personality, but I'd much rather know one way or the other. I'd even put it on my calendar..."X day, Y month, 20**. To do: die." But life isn't designed for the Type A personality, and neither are chronic illnesses. Whether it is lupus, scleroderma, gastroparesis, cancer, rheumatoid arthritis or multiple sclerosis, the fact remains that we simply don't know if, or when, the disease will become fatal. And so each patient must keep fighting, day after day, ad infinitum. It's just what we do...the dreadful algebra of the situation doesn't give us any other viable option. We live with uncertainty, we try to do our best, and we always, always know that our best isn't as good as it could be if we were healthy. From conversations with patients of many different illnesses, I've found that each patient has a different reason to keep fighting. I am sad to say that I do know one patient who decided not to keep fighting, but happy to say that I only know one. For some people they fight to live for their children. For others it is because of religious beliefs. For some of us, it is the example set by someone we deeply respect and to whom we look for inspiration. Luckily for me, I have a role model who has set the bar very, very high. That woman is, and has always been, my grandmother, Jennie Renee Marchant Hyde. I have always loved and admired my grandmother. She passed away recently, a victim of a chronic disease that did turn out to be fatal, but she fought the good fight for many long years. My grandmother suffered from severe migraines for decades. For any of you who experience such things, you know that these are no laughing matter. They don't call some headaches "suicide headaches" for nothing. And, as many people know, migraines can be brought on by stress. I would therefore surmise that my grandmother suffered more than I can imagine in the years and months before the death of her eldest daughter. No parent should have to bury their child, let alone watch their daughter suffer for years from terminal cancer. And yet, so it happened. And grandma dealt with it with grace, love, and a positive face for the outside world. I cannot imagine how much the death of my aunt hurt my grandparents, but I know that they responded with love and solicitude for my cousins, and for all the members of our family. Grandma fought her own cancer for 8 years before "her journey [was] through." She and I had a deal: we would tell each other anytime our respective health statuses changed. I didn't need to tell her every week that I still had lupus, but if some new complication arose she was the first to hear about it. I included her on any email I sent to family members about some new health problem (such as when I was diagnosed with melanoma). That was the deal, and we both kept to it. I will miss my grandmother every day of my life, whether that life ends up being long or short. But I know that, as long as I am alive, I will do everything I can to help advocate for less fortunate patients, as I know grandma would expect me to do. I will continue to fight illness(es) as she did. Because some day I will die, and when I do I want to be able to look my grandmother in the eye and tell her I did my very best to follow her example. May God be with her 'till we meet again. Thank you. I've learned that the harder it is to write a post, the more likely it is to strike a chord with others in my situation. This one was pretty difficult. I am so grateful you had such a strong bond with her. She was a great woman. I pray daily that you, in the strength of your talents, skills, your depth of knowledge, and your experiences that give the rest so much the more meaning, will live long and succeed in your desires to bless the world with what you are and do and will do. Go Sam. And let me also thank all the people who help you do it every day, grandparents and friends, in their daily actions or in your memories of them. 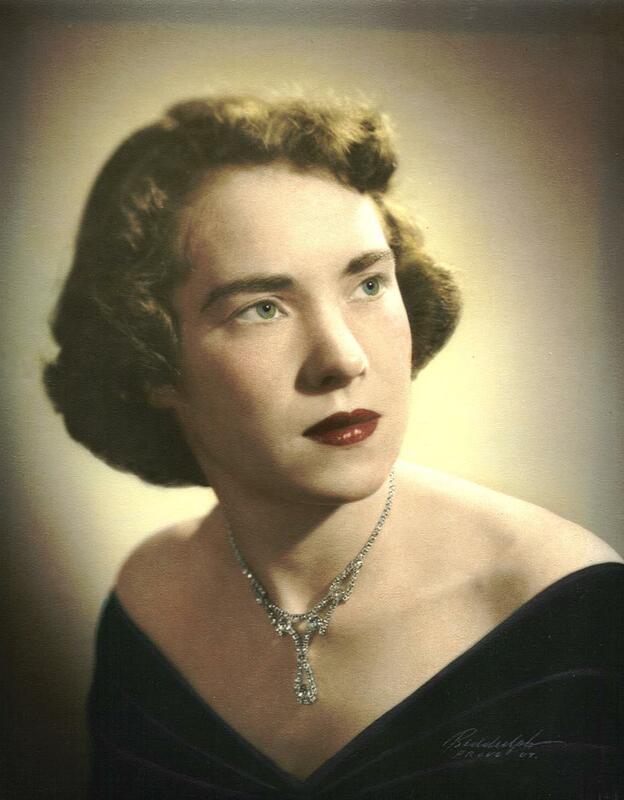 I have often been called by my deceased aunt's name, as some people think I greatly resemble her when she was my age. (My grandmother on my mother's side has made the mistake since I was about 8 years old). And I would like to think that I inherited some of my grandmother's personality. With two such strong and stoic women to follow, I have no justification for wimping out. It would be a terrible waste of such good examples.